On the coloured base boards supplied in the set can be recreated skirmishes between a British Cromwell tank and a German Hanomag. A clip-together Strongpoint building and cut-out trees and walls allow a variety of situations to be built up. 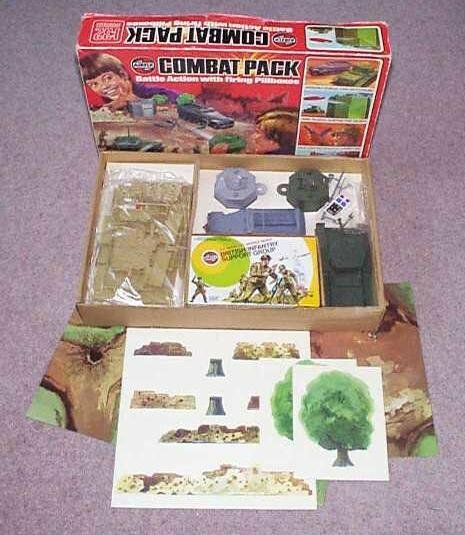 Two sets each comprising twenty-nine 1:32nd scale figures of British Paratroops and German Infantry are also included. The two realistic pill-boxes can be loaded with the flat discs and fired, adding a final touch to an outstanding play-pack.